As we all know, music is a great way to help children grow, develop, and express themselves in a creative way. Getting kids excited about music at an early age can really unlock their potential and help their creative side grow. Whether you come from a naturally musical family, or even if you don’t have a knack for music, don’t worry. There are plenty of places where kids can learn all the musical skills they need. As the world’s leading percussion museum, the Rhythm! Discovery Center is a great place for both children and adults to learn about the history, use and cultural impact of percussion instruments all over the world. The center offers a walkthrough experience where people can explore the exciting exhibits, watch musical performances and engage in the hundreds of percussion instruments and create their own beat. The Indiana University-Purdue University Indiana (IUPUI) has been offering an outreach program for over 20 years. This program aims to provide anyone from the age of 3 with music lessons to help improve the quality of music education in surrounding areas as well as promote arts and culture within the community. 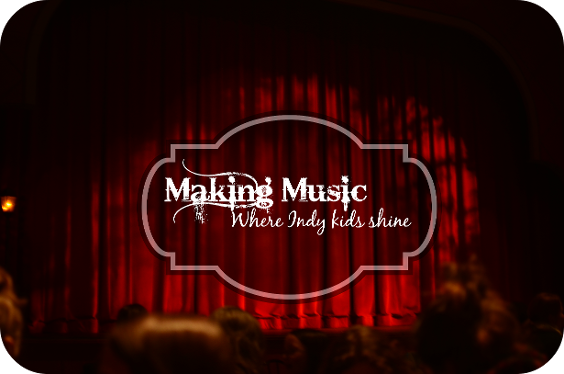 The IUPUI Music Academy offers group lessons to children between 3-12 on instruments such as the guitar, piano and voice while private lessons on the various instruments like the keyboard, violin, and woodwinds are available for all ages. If you’re looking for a place to let loose and get in touch with your inner rock star, pay a visit to The Launch Pad rock school and recording studios. The Launch Pad offers private lessons on all the instruments you’ll need to create your own rock band including the guitar, bass, drums, and piano as well as voice lessons. They even offer a Rock Band program where kids can learn, perform and even record as group. Kindermusik looks at using music as an aid to the development of a child’s language, vocals, cognitive ability, motor skills, and socio-emotional skills alongside the musical development that comes with music lessons. The school offers music courses to newborn babies all the way up to 7 years old. Kindermusik even offers family classes to give an avenue for parents to be a part of their child’s learning and development experience. So what are you waiting for? Let your children’s inner rock stars or singing divas shine!